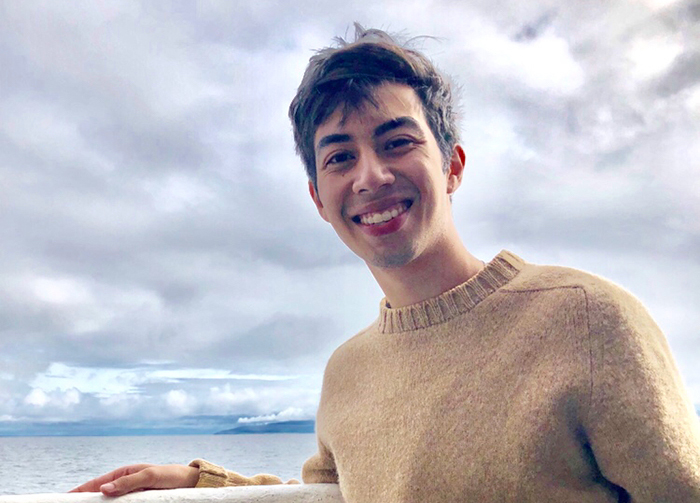 Tom O’Donnell ’19 (earth sciences) is passionate about geology, travel and environmentalism, and he’s traveled to far-off places to conduct environmental-geology fieldwork and research. He believes global experiences like these are critical. He’s also an Eco Rep, volunteers at a local food bank, helps monitor local waterways through ALLARM, gets active with the Outing Club and is a member of the Feminist Collective. Earth sciences (concentration in environmental geoscience). The Alliance for Aquatic Resource Monitoring (ALLARM), Eco-Reps, Geology Club, Outing Club and Feminist Collective. I originally chose Dickinson because I was drawn to its acclaimed sustainability and global education initiatives. I was so happy to find a community of people who shared the same values as me and were equally determined to make a positive change in the world. For whatever passion you have, there’s either already a club or a group of people who would help start one with you. On sunny days, the Academic Quad. On rainy days, my dorm room. I’ve always been fascinated with really old stuff, like the '90s, and I love exploring the great outdoors. What better way to combine those two passions than studying millions-of-years-old rocks in faraway places? If you value the beauty of nature and love to travel, major in earth sciences! A rock star. It didn’t work out, but studying rocks is the next best thing. I’m obsessed with learning different writing systems and ciphers. I’ve taught myself ancient Germanic runes, obsolete forms of Braille and Dwarvish from The Lord of the Rings. I’ve even developed my own writing systems. In Professor [of Earth Sciences] Ben Edwards’ Mineralogy class, we took a trip to Franklin, New Jersey, to visit one of the country’s most prominent zinc locales. We were given a tour of the historical site by a miner, and it was really enlightening to get the perspective of someone who relies on the mining industry for their livelihood. We are always learning about the science behind fossil fuels, but too often we neglect to also consider the people who interact and work with them on a daily basis. [Assistant Professor of Environmental Studies] Kristin Strock. I first met her in her Aquatic Environments course. In addition to being one of the most genuinely kind, supportive and intelligent people I’ve met at Dickinson, she was also my first exposure to some of the large-scale, “big picture” mindsets necessary to succeed in the environmental and earth sciences. She’s also super silly and tells a mean ghost story! My father. Not only do we share the same name, but we also share the same senses of humor and responsibility; I’m the man who I am today because of the man he is. He didn’t teach me to adopt all of his personal morals, but he did teach me the importance of sticking to my morals, whatever they may be. Through [local food bank] Project SHARE, I help contribute to the Carlisle community. Having a global education is one of the most important things today. People used to say technology was making the world smaller, but in a way, I think it’s making the world bigger. It’s becoming easier and easier to live in a bubble—or an echo chamber—without ever having to confront an opposing viewpoint. By experiencing all of the variety in the world and how it came to be, we are reminded of how much we all share in common. … we would have the fashion of the '70s, the music of the '90s and universal free Wi-Fi. This summer, I worked in the wastewater treatment laboratory at the Middlesex County Utilities Authority in New Jersey. It was a great way to incorporate my experiences in water quality management with ALLARM and my personal interest in hydrogeology into a meaningful real-world experience. In summer 2017 I had the amazing opportunity to travel to Iceland with Dr. Benjamin Edwards, Dr. Kristin Strock and six of my peers to study the effects of climate change on glacial lakes and streams as part of Dickinson’s AACCRE (Arctic and Alpine Climate Change Research Experience). After graduation, I plan on traveling for a couple weeks or months. Then I’ll probably work on saving money so I can move out of the suburbs and into a city like Philadelphia or Jersey City. Career-wise, I hope to find a job in municipal water treatment and management, since I know not all communities have the same access to reliable clean water and I am passionate about changing that.